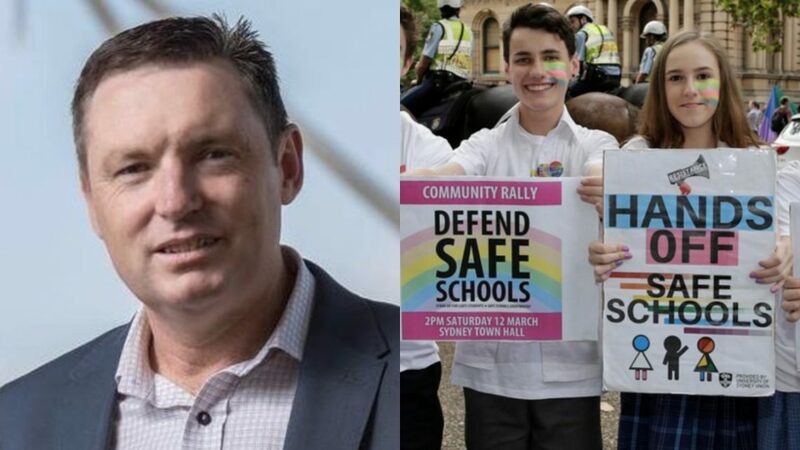 DIRECTOR of the Australian Christian Lobby (ACL) Lyle Shelton has accused LGBTI activists of ‘bullying’ at a recent Melbourne seminar on the Safe Schools program. 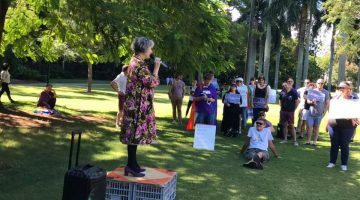 The event, which was co-ordinated by the notoriously anti-Safe Schools lobby and designed to provide an open discussion on the program, was allegedly protested by 30 ‘rainbow political activists’. It had been promoted on the ACL’s website as a discussion to help the public understand ‘the consequences of teaching contested gender ideology to our kids’. In a media release, Shelton said the protest was the latest example of ‘bullying tactics’ used by LGBTI activists to shut down the debate. According to Shelton, the protestors were stationed outside of the event attempting to prevent members of the public from attending. “The intolerance of those leading the LGBTI political movement is fast-becoming one of the biggest threats to basic freedoms Australians have taken for granted for 200 years,” he said. He said that while 100 people were in attendance, roughly 70 others were unable to gain access. In attendance at the event was speaker John Whitehall, a University of Western Sydney professor who previously referred to gender dysphoria as a “fad”. In a report by The Australian, trans advocate Regan Bleechmore condemned the event. 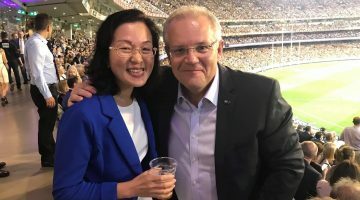 “We will be there to remind the ACL: we are not your political football,” she said. Previous post Eurovision: who's through to the Grand Final?